The Inked by Evans gift card enables you to design and purchase a personalized custom graphic front bass drumhead or give it as a gift to a friend or loved one. 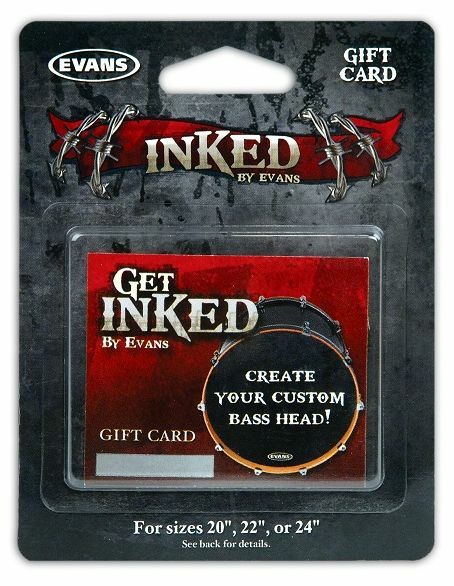 The Inked by Evans gift card enables you to design and purchase a personalized custom graphic front bass drumhead or give it as a gift to a friend or loved one. 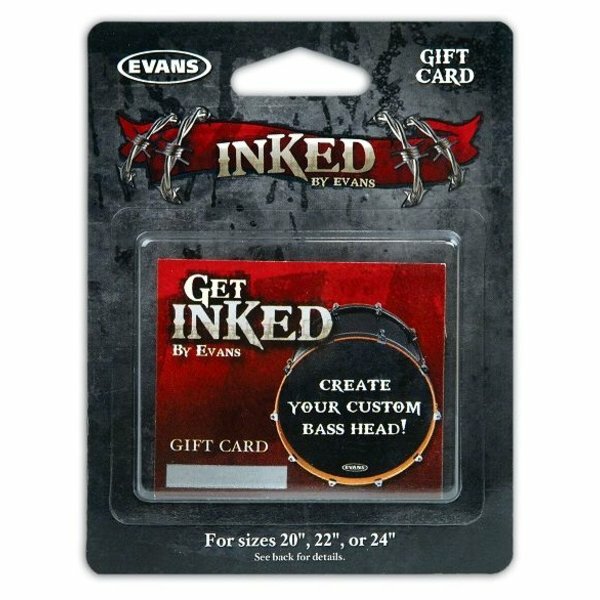 Choose any size from 20" through 24", upload your own image, add custom text, and install a EMAD Resonant microphone port for one low flat price.